​You are a force to be reckoned with. Financial anxiety is something so many of us deal with, but few ever admit to. We project an image, we share our highlight reels, but feeling financially secure is a bit harder than snapping a good photo. Trust me, that nagging feeling you have is not unique to you. And it's NEVER a sign of failure. I meet so many powerful women – single, married, divorced, employees and entrepreneurs – who experience financial anxiety and worry about their financial future. And what I find remarkable is that many of them make a good living… yet still something prevents them from feeling confident about their financial future. Something that may also be preventing you from achieving the financial success you desire. Hi… I’m Millen Livis, a financial empowerment mentor for ambitious and free-spirited women. I’ve become financially independent over 10 years ago. In that time I’ve published two bestselling books, built a successful investment business, and helped many ambitious and free-spirited women change their financial reality. And then 2 years ago, I developed something called the The Millenaire Method – a holistic system for creating Lasting Wealth, Freedom and Prosperity. The Millenaire Method is a process that everyday people like you and I can use to think and live like a Wealth Creator, become financially savvy, grow wealth through strategic investing, and leverage the incredible power within. Every day some people get wealthier and others get poorer… some think and live like Wealth Creators and others think and live like Wealth Consumers…. The good news is that YOU TRULY HAVE A CHOICE. My own journey to financial freedom and my clients’ amazing transformations proved that your current financial reality is NOT your destiny! You heal generational money blockages and change the financial trajectory of your life. Once you become the Master of your money, you can create more Wealth and more Freedom in your life, and Prosperity becomes simply a new way of being. ​When you experience Prosperity, you feel EASE and excitement about your life, and you are in a better place to create a significant impact in the world. ​That’s how Freedom and Prosperity feels and NOW I’m living it. I can travel the world, choose where I live, what I do and when, and choose who I surround myself with. I created an amazing life. And yet there was something missing for me…. There was passion in my soul to share my wealth creation system with millions of other women who don’t believe it’s possible for them to master their money and change their financial reality. I knew, deep in my soul, that I couldn’t rest on my laurels. I had to share my message, strategies and tools. So, I developed programs that teach how to change your money habits and thinking patterns to align with the Wealth Creator mindset, how to manage your money intentionally, and how to invest strategically. I wanted to test how emerging into “living prosperity”, while training the brain for a new “Prosperous Way of Being”, could help my clients leap forward. 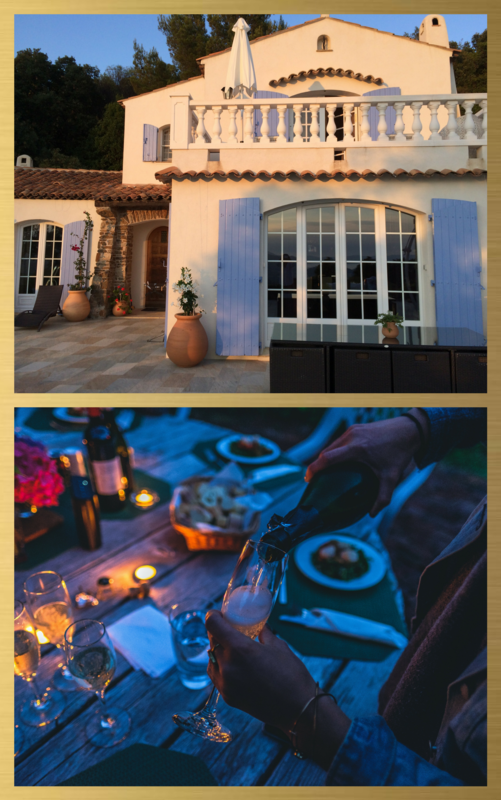 In 2018, I offered a wealth retreat in my private villa in the South of France that I called “Activate Your Power to Prosper”. I thought it would be a cool way to help my clients train their brain for a new prosperous way of being while experience the magical atmosphere of Provence, delicious organic French cuisine, yoga and meditation, scenic prosperity walks and beaches, infinity pool and open-sky Jacuzzi. I had no idea how this will turn out. IT WAS A DARING EXPERIMENT. I felt so much love and excitement! This wealth retreat has literally become my SECRET PROSPERITY LAB. This may sound like a marketing hype, but it’s very real. "Activate Your Power to Prosper” isn’t about teaching you the Law of Attraction principles, or “how to become a crypto-millionaire”, or any other super-slick “get-rich-quick secrets” that you can find on the late night infomercials by self-proclaimed “wealth gurus” who make their living delivering canned talks with canned promises. It isn’t about super-polished speakers presenting their success stories for 30 minutes and then pitching you their offer for another 30 minutes. What you’ll get at the "Activate Your Power to Prosper” wealth retreat is me teaching you the 4th pillar of the Millenaire Method for Creating Lasting Wealth – the latest cutting edge strategies, tactics, and tools for maximizing your results on your journey to Wealth, Freedom, and Prosperity. I’ve realized that in order to succeed at any comprehensive wealth building training, you must have a solid framework that would help you sustain the challenges and setbacks that are inevitable when you are reaching for a bigger vision in your life. Ok, Millen, there are tons of free money mindset and law of attraction calls/challenges/programs out there. What is different about your event? Here’s just a tiny fraction of what you’ll learn and experience…. Of course, that’s just a small part of your overall experience at this wealth retreat. I always add new up-to-date material! and spiritually all the way through this 4-day live retreat. I’ll be hosting the retreat and presenting new material each day. It’s the cutting edge of neuroscience, quantum physics and the wealth creation world. You’ll have morning yoga, evening meditation, scenic prosperity walks, swim in the infinity pool during the day and star-gaze in the open-sky Jacuzzi at night. NO “sell-a-ton” and NO fluff. You feel dissatisfied with your current financial situation and don’t know how to move forward. You’ve taken money mindset programs in the past yet still have thought patterns that prevent you from having financial reality you desire. You feel inadequate about creating wealth and are concerned about your financial future. You’re not where you’d like to be financially at this phase in your life. You’re longing for more ease, security, and peace of mind in your life. Each day will be filled with new knowledge and empowering exercises to recondition your mind for wealth and prosperity, and authentic connections with other brilliant women at this intimate and exclusive retreat. You’ll have nearly unlimited access to me during these 4 days! Activate Your Power to Prosper only happens ONCE A YEAR, at the end of June. What results can you expect at the end? Best of all, you’ll experience this transformative work in a beautiful villa Sunset located in the famous region of the South of France – Provence! Yes, the training will take place at my little French paradise. Just a couple of hours outside of Nice and one hour outside of Cannes, the villa has a panoramic view on the Mediterranean Sea coastline and the mountains. And if you did, you might be wondering why Activate Your Power to Prosper is so inexpensive. After all, many destination retreats coast $5,000-$25,000+. So here’s the simple answer – I’m planning on growing Activate Your Power to Prosper into a 5-star exclusive PROSPERITY EMERGENCE experience. And the easiest way that I can see this happening is through the word-of-mouth. Simply put, since the event is pure awesomeness…I figure, the more people I can get to attend this year’s event, the more people they will share their experience with…. So, I’m investing in the long run by radically underpricing the event this year. The investment is only $1997, including training, ALL meals and snacks, infinity pool, Jacuzzi, morning yoga and evening meditation. which is a nearly-insane value. The content, experience, and results you’ll get are easily worth 10x the investment into this wealth retreat…but this year I’m going to make it ridiculously easy for you to say YES… and then let the word-of-mouth take care of itself. So please don’t let the low price make you think that this event will be anything short of world-class in content, experience, or the outcome. It’s going to be amazing. Just click this button to get registered for Activate Your Power to Prosper, and I’ll see you in Provence in June! I’ll see you at the Activate Your Power to Prosper in Provence in June! Hotel La Villa Douce is located on 8 Corniche de Paris in 83820 le Rayol-Canadel-sur-Mer. 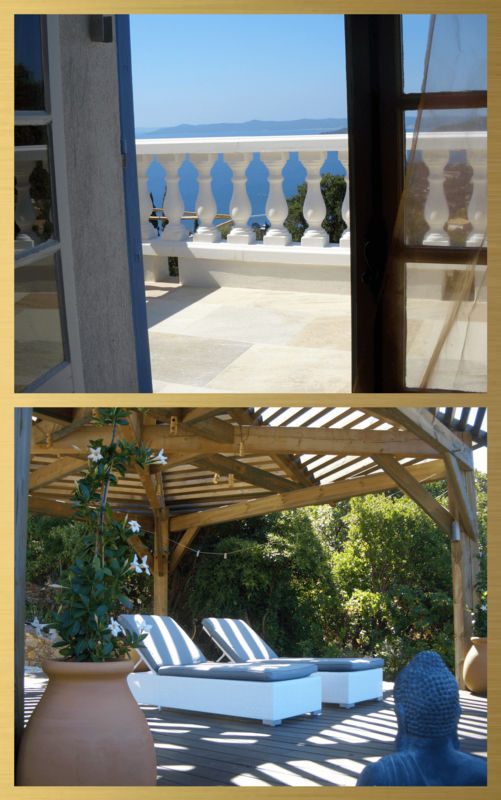 If you’d like to stay at the retreat location, villa Sunset, there are ONLY TWO PRIVATE rooms left. I am convinced that MONEY IS NOT A CAUSE but an INDICATOR of what I call "money slavery programming". ​Are you ready to give yourself a Gift of experiencing Prosperity?